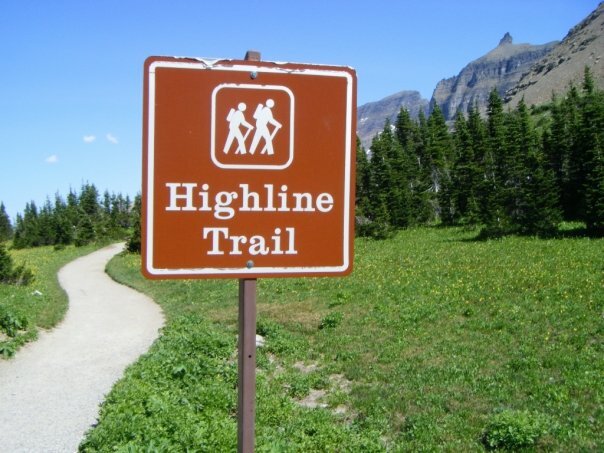 The Highline Trail is one of Glacier National Park’s best hikes. Take a scenic, photo tour and learn why The Highline hiking trail is so popular. The photos below will take you on a tour of this hiking trail from start to finish. Highlights include: Logan Pass parking lot, wildflower images, towering mountains, Granite Park Chalet, Heaven’s Peak, Going to the Sun Road, and plenty of breathtaking mountain photos in-between. 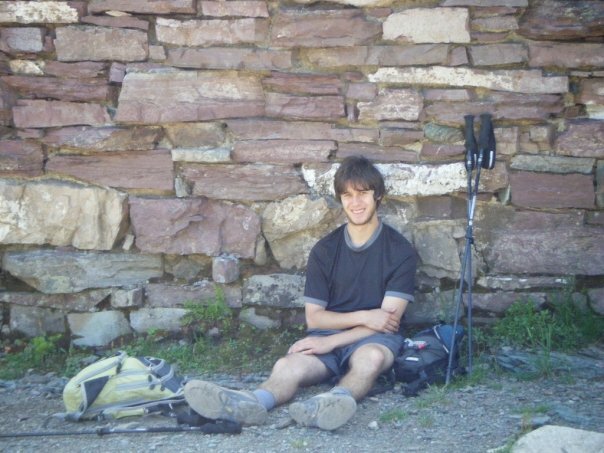 While not difficult, the Highline requires basic hiking gear. Glacier National Park weather is unpredictable and a mountain storm can roll in at a moment’s notice. Without adequate equipment, you risk hypothermia, dehydration, and other serious injuries. 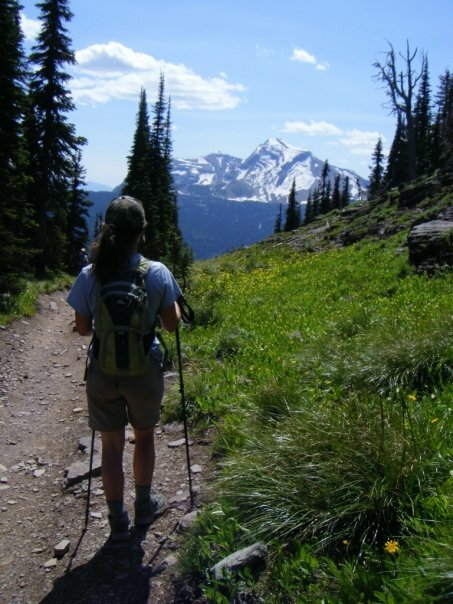 Do YOU Have a Favorite Glacier National Park Hike? 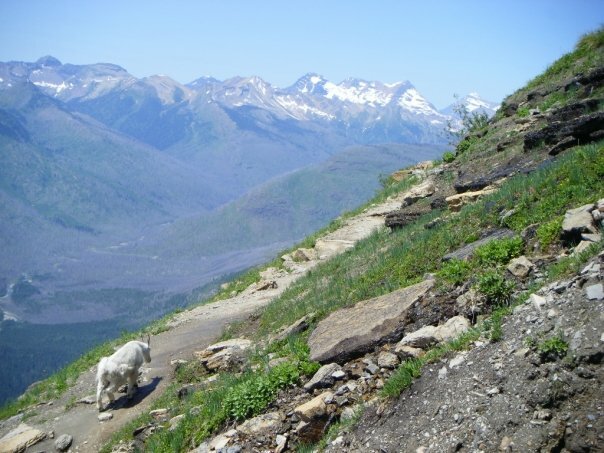 That said, the Highline hike in Glacier National Park is gorgeous, full of wildlife like mountain goats, big horn sheep, and marmots, and typically devoid of grizzly bears (if you’re terrified of running into a grizzly, this is one of the best Glacier National Park hikes for you). 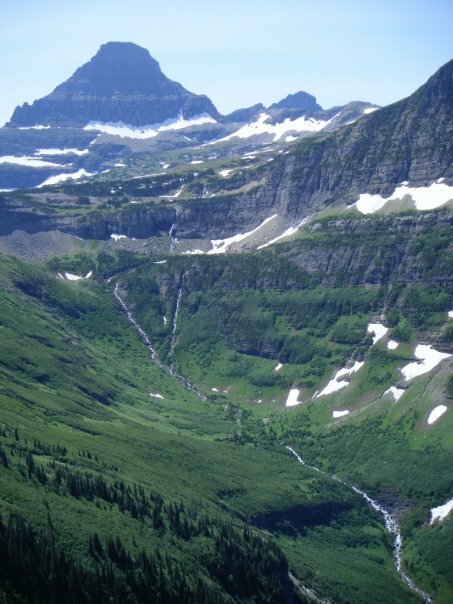 Here are the best photographs of the Highline Trail in Glacier National Park. The photo tour begins at Logan Pass and takes you on a detailed tour of one of Glacier National Park’s best hiking trails for families. 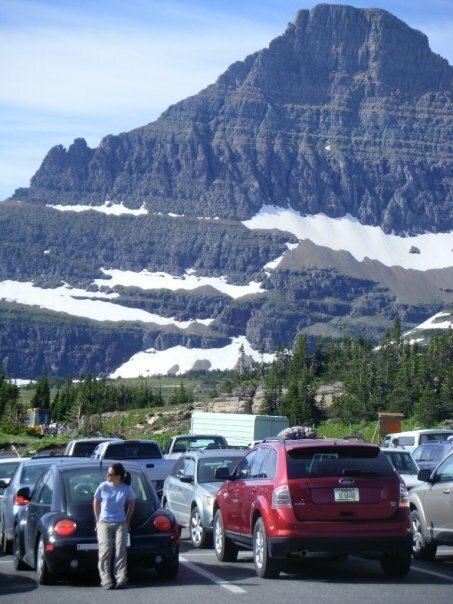 Either park your car at Logan Pass parking lot or take the hiker shuttle up. The parking lot fills up early, so if you plan to drive get there no later than 8:30. Also, stock up on water here. There’s potable water up the hill from the visitor’s center. Across the street from Logan Pass parking lot is the beginning of Glacier National Park’s Highline Trail. Here is the sign welcoming you to one of the best Glacier hikes. Glacier National Park visitors know about this trail before coming and so it gets very crowded. Luckily, that means plenty of people to take pictures for you while hiking along. The views are gorgeous at every turn! The mountain in the distance is Mt. Reynolds, the same mountain towering over the parking lot at Logan Pass (see two pictures up). This photo was taken about two miles into the hike. Wildflowers are abundant throughout the hike. They make for a great foreground in any Glacier National Park picture. Allyson thought it was about time that she took a photo of me. This is nearing the mountain pass you climb on the Highline Trail. 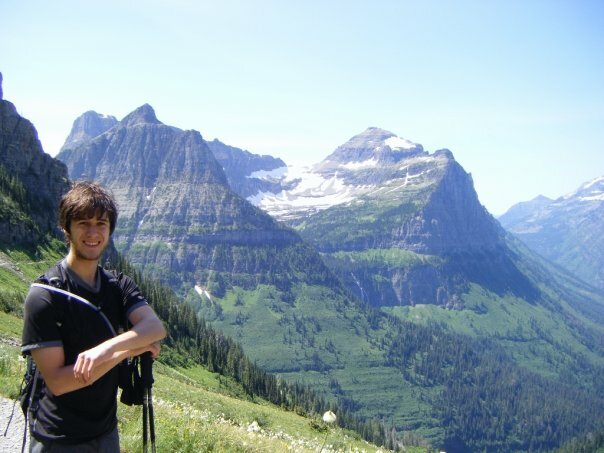 Boy, were we glad to have purchased hiking poles before coming to Glacier. They made the hikes so much easier, especially the Highline Trail, which had some pretty steep drop offs and boulders to navigate over. 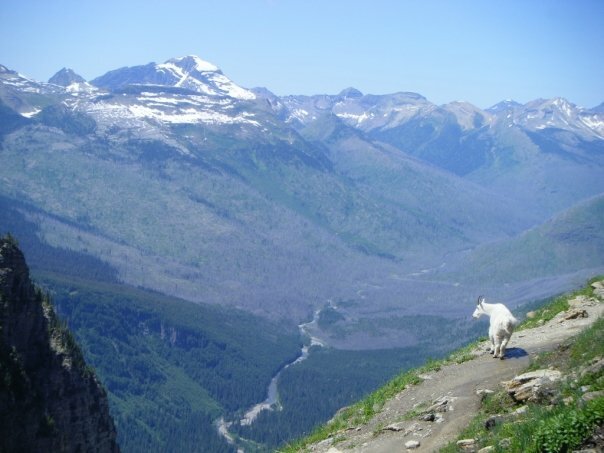 Mountain goats are everywhere along the Highline in Glacier National Park. If you hope to take mountain goat pics, this is the Glacier hike to do! Of all the images of mountain goats that I’ve taken, this ranks as #1. It was taken before approaching ranite Park Chalet. This ol’ fella blocked our path for a good amount of time and severely limited our speed. Oh, well. Too bad we didn’t have anything pretty to look at. 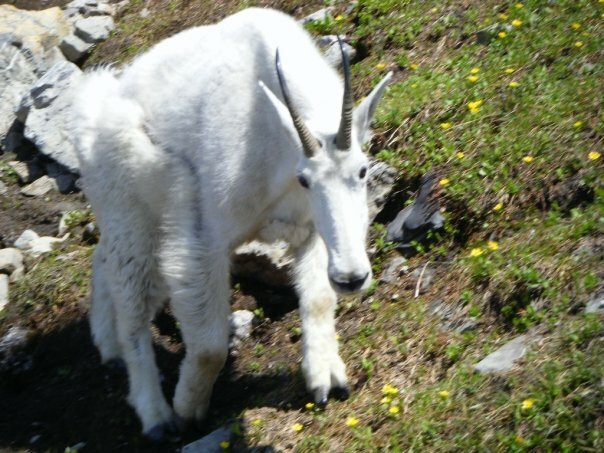 Even though nobody’s ever been gored by a mountain goat, it doesn’t mean these creatures aren’t dangerous if provoked. We definitely got too close for comfort when taking this mountain goat photo. About 2/3 of the way through is Granite Park Chalet. Some visitors choose to spend an evening at the Chalet, which must be an amazing experience. Being broke, my girlfriend and I were never able to do this–but it does make a nice backrest after a few miles of hiking. 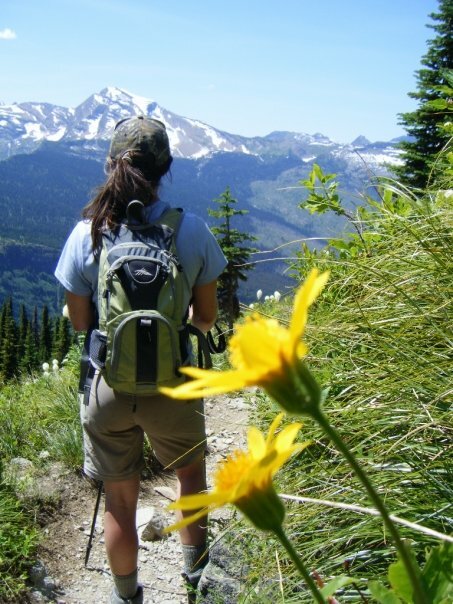 After Granite Park Chalet, hikers are afforded amazing views of Heaven’s Peak. If this mountain doesn’t take your breath away, then I don’t know what will! 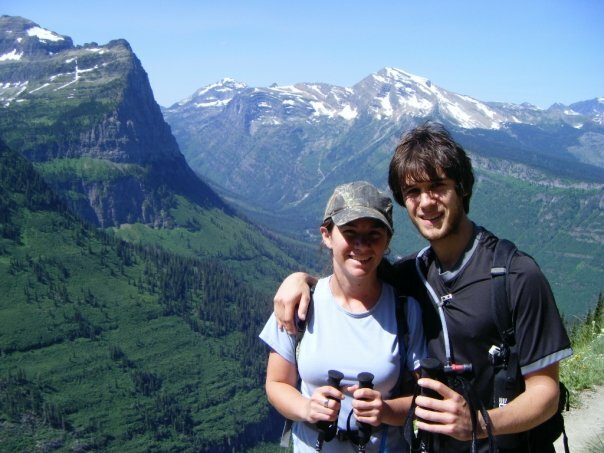 After you lose sight of Heaven’s Peak, hikers descend into a valley and approach Going to the Sun Road. This used to be a heavily forested area, but fires burnt the vegetation away. For the entire section of the hike, you stare at dead trees. Making matters worse, without leaves the trees provide no shade. Not an enjoyable section of The Highline Trail, but not something that should discourage you from hiking it.